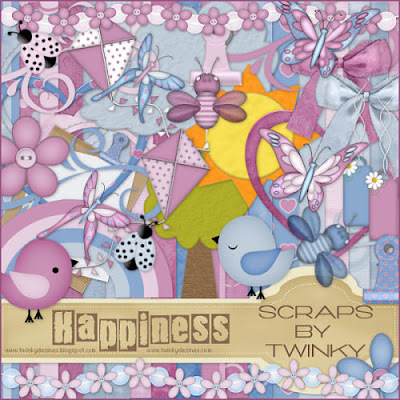 A nice spring like kit called Happiness is free for you to snag today. Its an old PTU kit, Tagger size and for personal use only. Beautiful kit. Thank you so much! Beautiful kit! Thanks for sharing! Thanks so much for sharing this great kit. This is lovely. Thank you so much. Beautiful kit! Thank you for sharing! I can't wait to make tons of tags with this. Oh, this is soooooo sweet and I love the colors!!!! Thank you so very much for this kit!